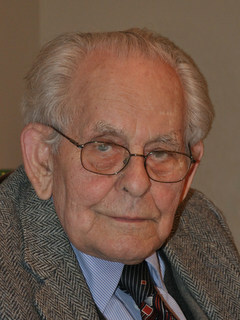 Laszlo A. Tomaschek, age 104. Beloved husband of the late Margaret (nee Kiss); dear father of Dr. Laszlo (Susanne) and Dr. Ildiko (Dr. Gregory) Kondray; grandfather of Laszlo P. (Veronica), Attila (Kati), Endre (Evan), Istvan (Veronika), Greg Kondray, Kristof Kondray, Marton Kondray and Viktor (Kara) Kondray; great-grandfather of Isabella and Lucia; brother of the late Edit Molnar; loving uncle of many nieces and nephews in Hungary, USA and Canada. Memorial service 11:00 AM Saturday, February 2, 2019 at Our Savior’s Lutheran Church 20300 Hilliard Blvd. Rocky River. Inurnment Sunset Memorial Park. Contributions may be made to West Side Hungarian Lutheran Church. Fogadják őszinte részvétemet a Családot ért megrázó veszteség miatt. Please accept my sincere condolences! Fogadják őszinte részvétem a Családot ért megrázó veszteség miatt.